Why did you decide to run in the Edinburgh Marathon Festival? 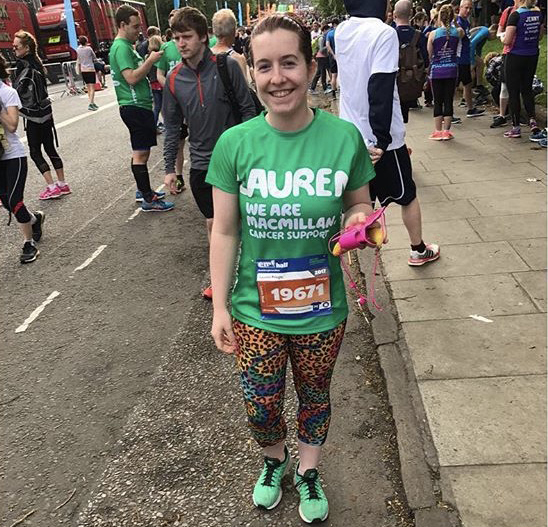 Why did you choose to run for Macmillan? How does it feel to be part of Team Macmillan? Any top tips to share with others about your training or fundraising? What would you say to someone considering running for charity? Have you been inspired by Lauren? Follow in her footsteps and click here to run Edinburgh with Team Macmillan today. For more information, visit www.edinburghmarathon.com. For more information on the work of Macmillan Cancer Support, please visit www.macmillan.org.uk. Being part of Team Macmillan means that we’re here to support you, your family and your friends too. If you have any questions about cancer, call Macmillan free on 0808 808 00 00 (Open 7 days a week 8am-8pm).